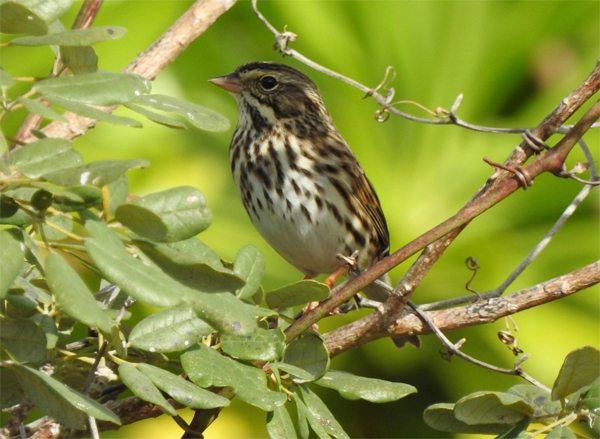 Grand Bahama Island, The Bahamas - During the groups November fieldtrip several sites within the Freeport area were visited and exciting new finds were recorded. At the Ruby Golf Course a new bird for most of the participants was a Savannah Sparrow, a small seed-eating migrant that may begin its fall journey as far north as Alaska or the arctic circle and travel all the way to Southern California, Mexico, Florida and the Bahamas to spend the winter. Everybody had a good view of this long-distance traveler as it perched comfortably in a small bush for the longest time. 16 species were observed at the Ruby. 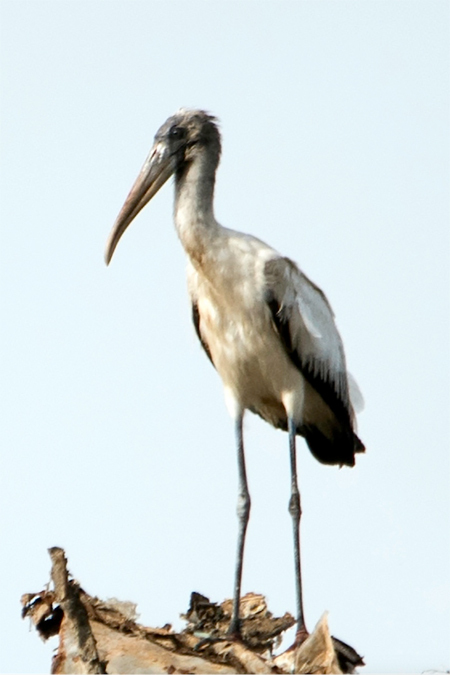 Another stop was made at Freeport Pineridge Landfill, where the participants were able to record two additional new species, a Wood Stork which hails from Florida and has made the landfill its home since early fall. 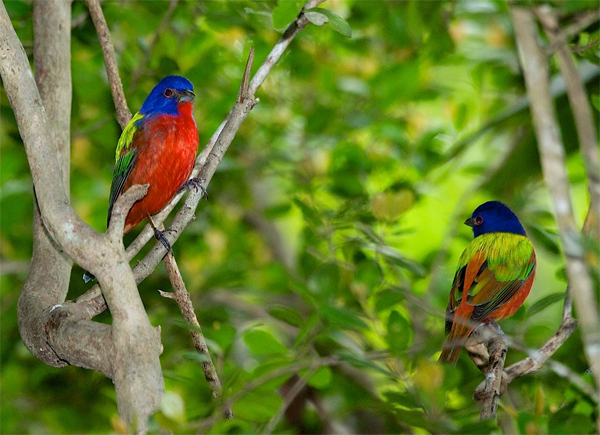 It is a rarity in the Bahamas since this species does not migrate. 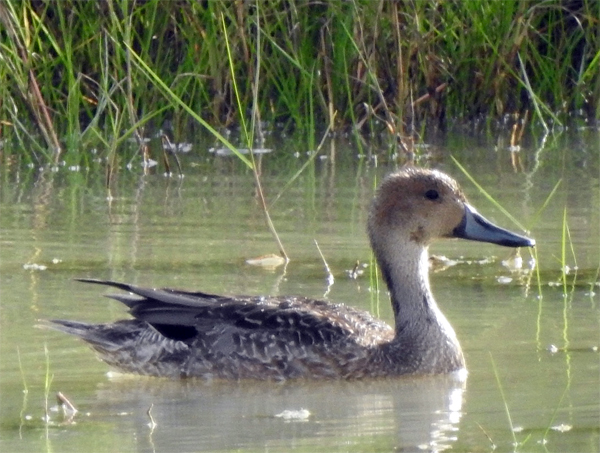 The second new bird was a Northern Pintail duck, another long-distance migrant, raising its family as far north as Northern Canada and Alaska. It flies in formation in flocks to its wintering grounds in subtropical regions. 17 species were observed at the Landfill. The third site visited was the Eggfarm which produced amongst 14 sightings a female Painted Bunting, which is a rather drab olive colored bird as opposed to the male of the species which is the most colorful bird in North America. Its beauty is often its downfall in Cuba where the bird is frequently trapped and sold as a cage bird! 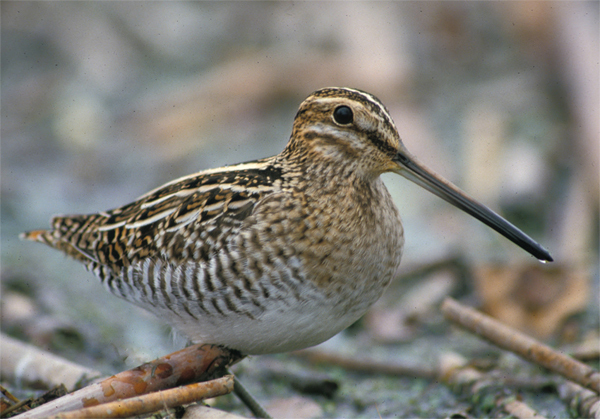 The other interesting species was a Wilson’s Snipe, another long-distant migrant from the north with interesting bold striping and a very long bill for probing in muddy edges of ponds and wetlands. It had been a productive birding morning and several “lifers” were recorded by the participants. 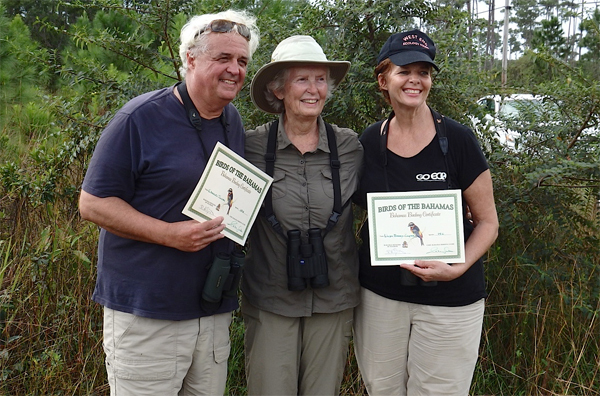 Two members of the Grand Bahama Birding Group were presented with the “Birds of the Bahamas” certificate for having reached a milestone of 150 observations. 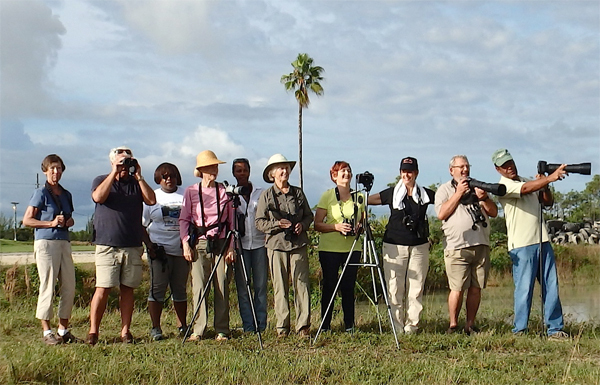 The certificate is sponsored by the Bahamas Ministry of Tourism and Grand Bahama Nature Tours to encourage residents and visitors to get out there into the beautiful Bahamian bird habitat and record with their sightings, with eBird, the largest database in the world maintained by Cornell University’s Lab of Ornithology. Species observed on November 21st have been submitted to eBird and may be accessed at www.ebird.org under “Explore Data”, “Explore a Region”, enter Freeport and click on checklists of Freeport Pineridge Landfill, Ruby Golf Course and Eggfarm. We also like to receive your confirmation if you intend to participate in the 2015 Christmas Bird Count which will be conducted on Monday, Jan. 4th , 2016 in Westend and Tuesday, Jan. 5th, 2016 in the Freeport/Lucaya area.